This is the card that I have made for the. Heartfelt Creations Stamp-Sun Kissed Fleur. Versa Magic Dew Drop Chalk Ink: Aloe Vera. Dew Drop Pigment Ink brilliance: Pearlescent Orchid. Honey Dew Crafts Embossing Powder: White Opal. Such a delightful, sweet creation, Sussie! Lovely soft colors and beautiful flowers! 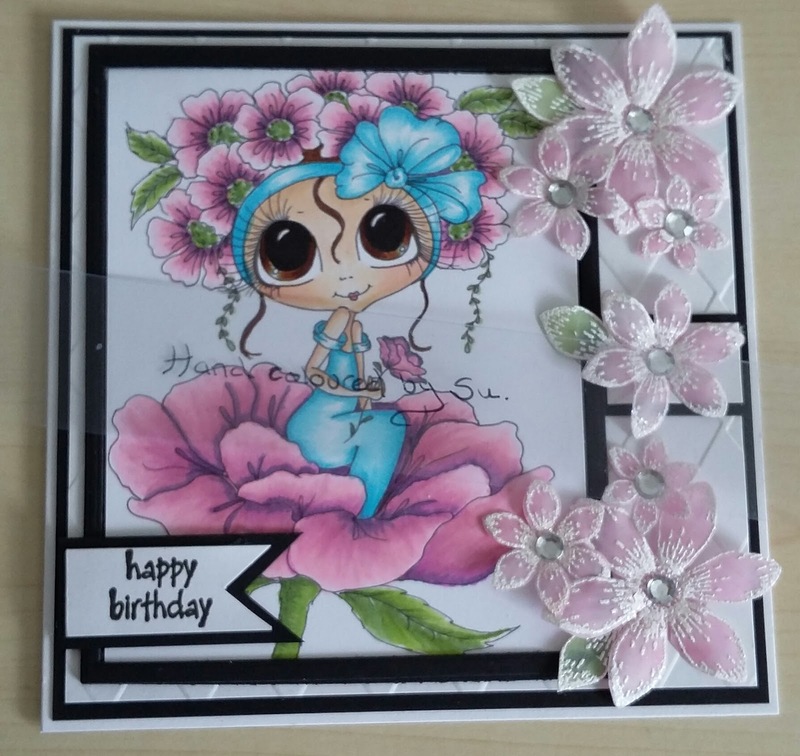 Wow Su this is absolutely stunning, I just adore the colours and those scrumptious flowers.